DRS FX II allwos to search in a very wide spectrum ranging from gold nuggets to tiny slag. With the help of the new automated soil setting DRS FX II works at great ease and precision under the most difficult soil conditions even the most mineralized ones. Its most remarkable feature is the ability to discriminate metals despite using pulse induction technology. Thanks to our high energy smart battery, DRS FX II is very sensitive to the tiny golden objects. It goes deeper than other metal detectors in its range. Therefore you get a competitive edge over other gold hunters using other machines. DRS FX II also works without losing its depth advantage in very hot and cold weather conditions. It is very obvious that DRS FX II is definitely the best choice for searchers living in various places of the world such as african or middle east countries. DRS FX II is so easy to use than even beginner scan handle it easily. By choosing default settings in our LCD menu, you can start your search like a Professional in just a few seconds ! 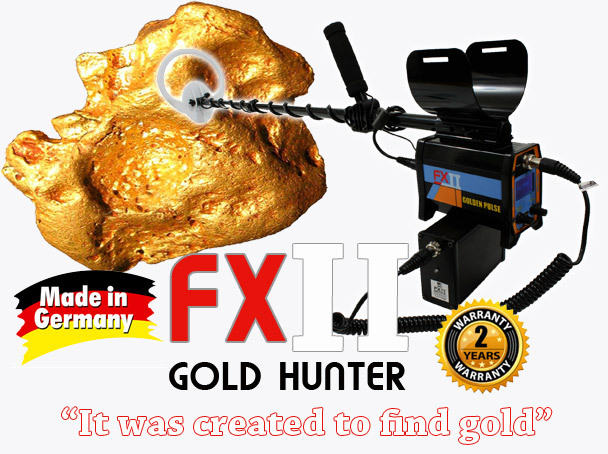 If you have been looking for a very good gold detector, it is right in front you. Without losing any time, come to our showrooms or dealers and see it with your own eyes. You can own this great detector wherever you are in the world with the advantage of free shipment. Why buy FX II ?